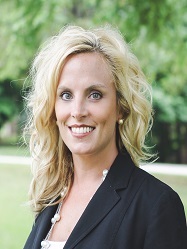 Mrs. Hughes is the Director of Business Operations for Carolina Dental Management. She has worked in the dental field for over 20 years. Her expertise is in doctor recruiting, team development and new practice start ups. She has attended the Dental Assisting Program at CCCC in Jacksonville, NC and continued her education through the Las Vegas Institute for Advanced Dental Studies. Mrs. Hughes was raised in Henderson, NC and currently resides in Wake Forest with her husband, Stephen, and sons, Ethan, Weston, and Vinson.